Jordanian, who lost to Sepp Blatter in 2015 presidential election, calls for overhaul of governing body. 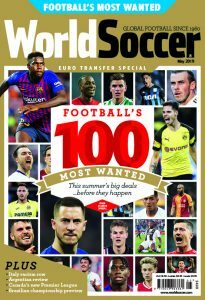 Catastrophe will overtake FIFA unless the world football federation’s 209 national associations seize their last chance of a rescue in next month’s presidential election. 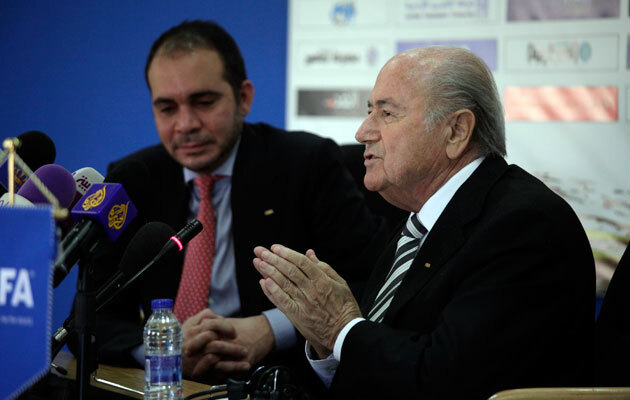 Prince Ali bin Al Hussein, one of five candidates to succeed disgraced and banned Sepp Blatter on February 26, expressed those bleak words of warning as he launched an updated manifesto in London in pursuit of the job. The 40-year-old Jordanian prince has his doubts about some of the reform proposals also due for vote at congress. For example, he believes in a limit of two four-year terms of office for both the president and members of the executive committee while the reform committee proposed a maximum of three terms. Prince Ali also established clear water between himself and at least two other presidential hopefuls over the need for urgency in responding to the FIFA crisis. He insisted he would be a ‘hands-on’ leader by comparison with South Africa businessman Tokyo Sexwale and Asian president Sheikh Salman bin Ebrahim Al Khalifa who have indicated a preference for being ‘stand-back’ presidents. Prince Ali also wants a World Cup bidding system more closely allied to the Olympic model with a meaningful evaluation process, ban on bid visits and – beyond even the IOC version – a publicly open vote in congress. Prince Ali of Jordan (left),, who challened Sepp Blatter last year. Last May Prince Ali collected 73 votes in a vain bid to unseat Blatter but his solid showing on top of the arrests of senior FIFA directors all contributed to the Swiss veteran’s decision, four days later, to head for the exit. Prince Ali is now repeating his round-the-world odyssey in search of votes. He said: “I’m very happy with how things are going, to have support from all across the world including in Asia. National associations across the world recognise that this is an incredibly important moment for the future of the organisation. 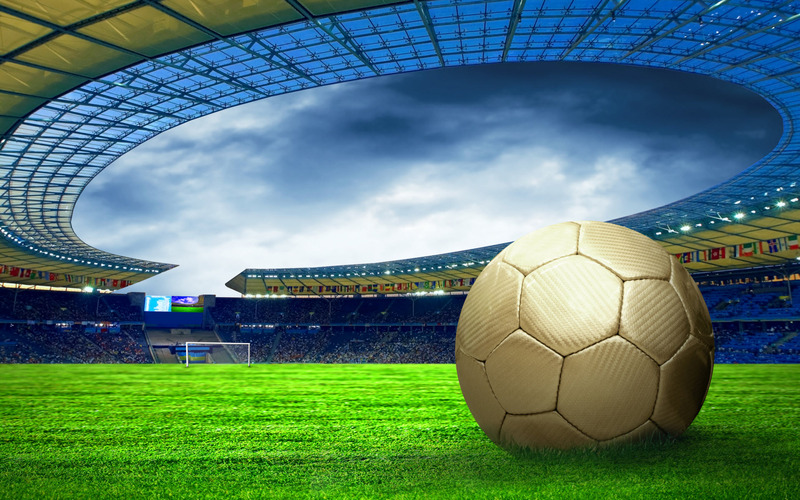 The feedback has prompted refinements to a manifesto which remains based on full transparency on pay and decision-making, increasing development support allied to tight audit controls, serious consideration of technological aids in the game and World Cup expansion and bid system revision. Prince Ali’s central theme remained unchanged: FIFA’s need for a leadership prepared to accept responsibility and not, as Blatter preferred, to deflect blame for blunders on to the executive committee and the confederations. He said: “The most important thing is to have a really responsible leadership that can implement the right changes – and that’s what I’m dedicated to doing [because] the 209 national associations all want to be proud again of being a part of FIFA. His words suggested a concern that the absence of a positive vote at congress would prompt the United States and Swiss judicial authorities to seek to enforce change on their own, external terms. One way to send out the right message of a change of culture would be a two-term limit and commitment to change. Prince Ali said: “Two terms is enough if you are hard working and that includes the president. You have to be dedicated to roll up your sleeves and work on behalf of the 209 member assocations. “It means being a hands-on president but with clear roles also for a proper ceo, secretary-general and so on . . . proper leadership and somebody who takes responsibility which is what we’ve not seen in the past. FIFA’s hidden troubles exploded after the infamous 2018-2022 World Cup vote. Already in place is a switch so that future host decisions will be taken by congress, not by the exco. But this, for Prince Ali, is not enough. He said: “We should base a World Cup [award] on the recommendations of the evaluation committee. Also I don’t think it’s correct for exco members to be travelling to bidding nations as happened in the past. Former FIFA ethics chief Michael Garcia disowned the findings of his own report. Notoriously the exco, in 2010, ignored evaluation report concerns about the searing summer temperatures in Qatar. Prince Ali wants to see the Garcia Report into the bidding process published so all of football can learn from this and other mistakes of the past. He said: “The entire football world deserves a new way of operating in terms of the governance of the game. It’s not a slogan to say we must unlock the doors and open the windows, it has to be a reality. “People want to know what’s happening in this organisation and want to have confidence in a leadership that takes responsibility for what happens. “It is a big challenge. It’s only then that you can go to the sponsors and stakeholders and say: ‘This is what we have done and what we are doing.’ so they confidence and faith in us.